A medical referral is not required to see our physiotherapists. The majority of policies with extras cover will provide a rebate for physiotherapy. You can claim on-the-spot at MOVE Physiotherapy through our HICAPS machine. A Medicare Rebate of $52.95 can be claimed for up to 5 physiotherapy sessions for those with an Enhanced Primary Care (EPC) Plan under the Chronic Disease Management Program. Speak to your doctor to determine your eligibility. An out-of-pocket (‘gap’) fee applies for all other patients. The ‘gap’ is the amount payable after the Medicare Rebate. Do you treat WorkCover and TAC clients? Yes, we are registered to treat WorkCover and TAC clients. However we do not directly invoice WorkCover, TAC or employers for your treatment. You will be asked to settle your account at the time of treatment. We can provide you with an invoice so you can seek reimbursement. You should be aware that in some instances the cost of treatment may be in excess of the amount WorkCover or TAC may reimburse. Payment in full is required at the time of consultation. EFTPOS, Visa and Mastercard are accepted. If you need to cancel your appointment we request that you provide at least 24 hours notice to avoid a 50% cancellation fee. Please bring any referral letters and relevant test results such as X-rays, Ultrasound, MRI or CT reports. 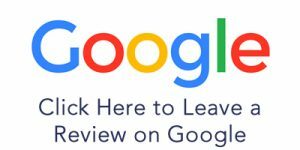 How do I leave a Google Review for MOVE Sports & Spinal Physiotherapy?